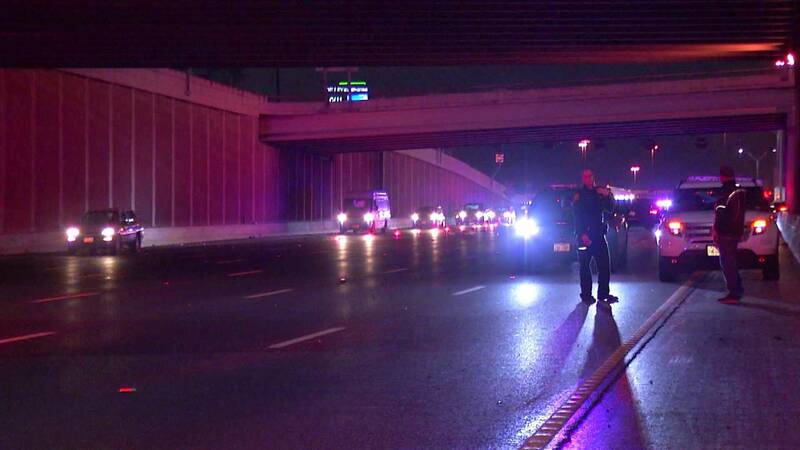 SAN ANTONIO - A man who was having car trouble on Interstate 10 on the city’s Northwest Side ended up losing his life. San Antonio police officers at the scene said he was driving his pickup along I-10 near Callaghan Road late Monday night when he began experiencing trouble with it. They say the driver got out of his vehicle and was hit by a motorcycle, at first. Several other cars then rolled over his body. Officers found the grisly scene when they arrived around 11:45 p.m. The driver of the motorcycle also suffered injuries and was taken to a hospital. They did not release any names right away.